Our goal is to pamper you from head to toe by providing you with the best services in the industry. 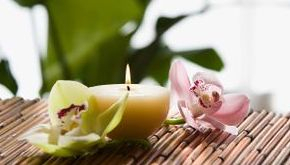 Legacy Day Spa is owned and operated by two experienced and talented staff members who understand what it means to relax. 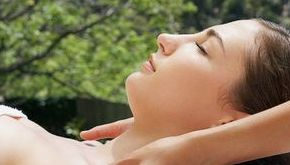 With over 27 years of experience in Business Management, Massage Therapy, as well as over 14 years experience in Cosmetology, we at Legacy Day Spa are among the most qualified in the industry. Whether you need a full day of relaxation, a manicure, massage, facial or even body waxing you'll find it here. Check out our services, and call us to make an appointment today. Check In: Please arrive at least 5 minutes prior to your scheduled treatment time. Late Arrivals: As you would expect, due to scheduling with many guests, arriving late will limit the time of your treatment, possibly reducing both the effectiveness and your pleasure. Full value will be charged. Health: Certain treatments may not be appropriate for those with high blood pressure, heart disease, pregnancy, allergies, skin conditions or other unique conditions. If you have any health concerns please consult your physician prior to receiving any spa service. We will ask for a valid credit card in order to book appointments. Your card will not be charged unless you cancel with less than a 24 hour notice, or if you simply do not show for your scheduled appointment. Gift Certificates that are purchased for a service expire after one year. After one year the gift certificate becomes worth the dollar amount remaining on that certificate. When scheduling groups or parties we will require payment at the time of booking. A gratuity of 20% will be added. No refunds.